Sunny, private, very quiet 5 acres. Zoned RU2 suitable as a family purchase. Zoning allows up to building of 3 single family dwellings or 1 duplex on this private oasis of forested land with a seasonal pond. Covered with trees and mossy knolls mixed with native plants. Hydro at property line. Drilled well ready to be hooked up. Good area for future septic. Lots of good building sites. 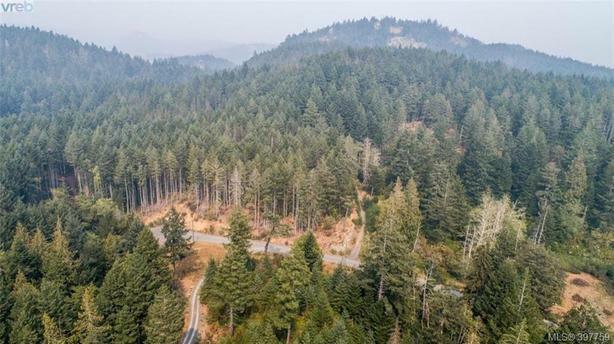 Surrounding area encompasses 315 acres of Westcoast rainforest, conveniently located 35 minutes from Victoria, 15 minutes from Langford. Near Matheson Lake. Strata titled to protect the 80 acres of Common Property, which is untouched and pristine in perpetuity and owner's integrity. Located near Metchosin.